A breakthrough announced this week by scientists at the University of Southampton's School of Medicine will lead to greater understanding of noroviruses, the most common cause of non-bacterial gastroenteritis around the world. Traditionally very little has been known about the biology of noroviruses because of the difficulty in culturing and manipulating these pathogens in the laboratory. Now the Southampton team, assisted by colleagues at the University of Otago and Washington University Medical School, has devised a system for manipulating the genome of the murine norovirus (MNV) which affects rodents. This breakthrough will lead to a greater understanding of how these pathogens work and, it is hoped, lead to ways of controlling them. Human noroviruses, which are closely related to the murine norovirus, are responsible for extensive outbreaks of diarrhoea and vomiting in cruise ships, hotels, schools and hospitals. Up to a million cases of norovirus infection are estimated to occur annually in the UK. "The human noroviruses have been exceedingly difficult to work with as there is no cell culture system to propagate these viruses, and as a result very little is known about their biology," comments Professor Ian Clarke, who heads the Virus Group at Southampton. "In the absence of a cell culture system, MNV is a surrogate for study of the human noroviruses. This study represents the culmination of a ten-year research quest in Southampton to obtain recovery of a live norovirus from its nucleic acid." The team in Southampton included Drs Vernon Ward, Christopher McCormick, Omar Salim and Paul Lambden and Professor Clarke. Together with Drs Larissa Thackray, Christiane Wobus and Skip Virgin at Washington University School of Medicine they devised a novel way of introducing a complete DNA copy of the MNV RNA genome into human cells grown in the laboratory. This allowed recovery for the first time of intact, functional viral particles from human tissue culture. They also used their system to mutate the virus so that they could identify a sequence that is essential for viral replication. Their reverse infectious genetics system will be an essential tool for understanding the replication and molecular biology of this and human noroviruses and will help in the development of antivirals aimed at controlling infections. The work, which was funded through a Wellcome Trust project grant, is published in the Proceedings of the National Academy of Sciences (USA) this week. 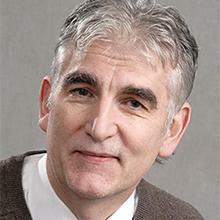 Ian Clarke was appointed to the Chair of Molecular Microbiology/Virology in 1998. He graduated in Microbiology from the University of Leeds in 1979 and completed his PhD in Molecular Virology at the University of Warwick in 1982 studying genomic variation in rotaviruses. He worked as a research scientist in the food industry before appointment to a ‘new blood lectureship’ at the University of Southampton in 1984. Subsequently he has held various positions at Southampton including Director of Division and is currently head of the Molecular Microbiology group.